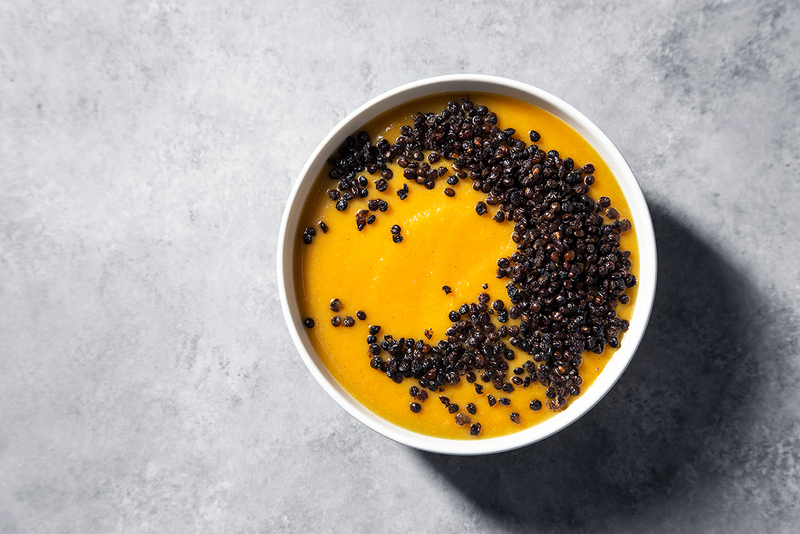 Butternut squash cooked with onion, garlic, curry spices and then blended till smooth and creamy… can’t get enough of this soup lately! It’s so simple and also very warm and filling. To take things up a notch, I topped it with crispy lentils! To make them crispy, I used previously cooked black lentils and roasted them on a baking sheet with oil, garlic and salt. Ben says they are also delicious on their own as a snack. Any other lentils would work the same way, also chickpeas are an option! I’m thinking about roasting leftover cooked quinoa, and buckwheat could be nice too. 1. In a Dutch oven or a heavy bottomed pot, heat up oil/ghee and add onion and garlic. Cook stirring often for about 5 mins until they begin to golden. 2. Add cumin and curry powder. Stir to coat. 3. Add squash and stir to combine. Pour in broth to cover the veggies, top with a lid, cook for about 30 mins until squash in soft. 4. Meanwhile, place the lentils on a parchment paper lined baking sheet, sprinkle and toss to coat with oil, garlic and salt. Roast at 365F stirring occasionally for about 10 minutes until crispy. Taste and season more if needed. Let cool. 5. Slightly cool the soup and transfer to a blender or use a hand-held blender to liquify. Taste and season with salt to taste. 6. 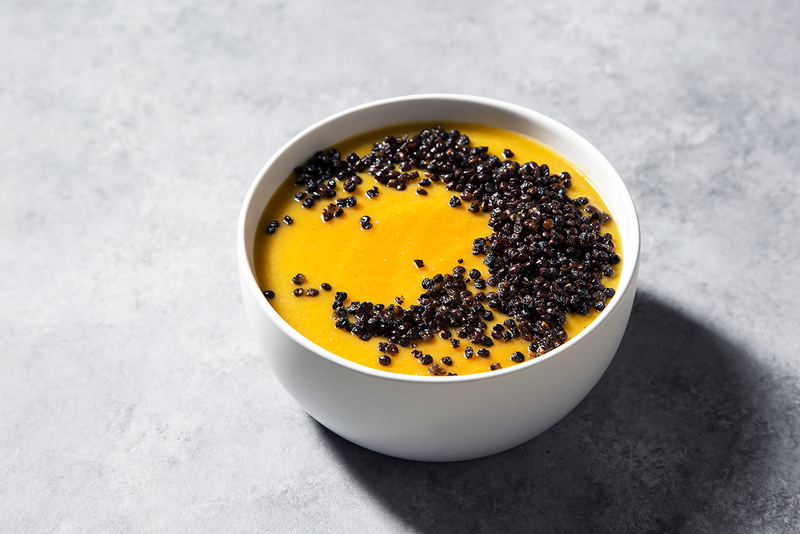 Serve hot topped with crispy lentils.